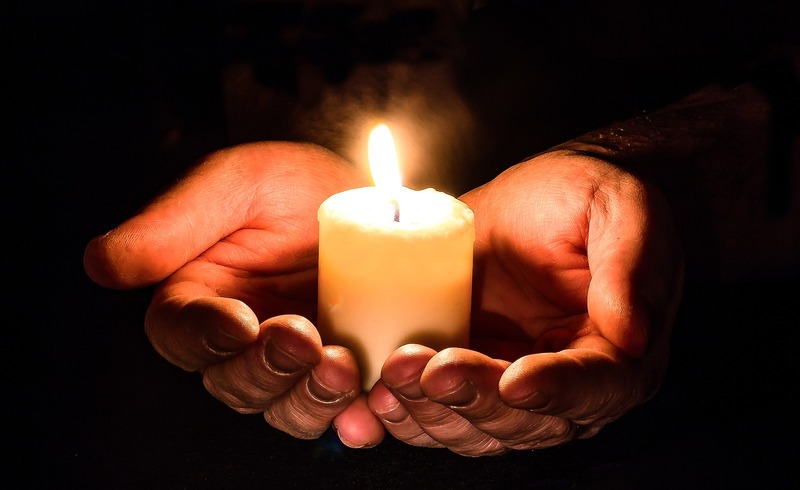 Prayer Request for Dakota Miller, Boy Who Accidentally Shot Himself - Truth or Fiction? Prayer requests are circulating on social media for a 13-year-old boy named Dakota Miller from Greenup, Kentucky, who accidentally shot himself. An online prayer vigil is being called for 13-year-old boy named Dakota Miller from Greenup, Kentucky, who accidentally shot himself. In 2017, prayer requests began circulating for Dakota Miller on social media, who accidentally shot himself in the head while showing a friend his grandfather’s gun. Friends and family gathered in the bleachers at Greenup County High School Wednesday evening to pray for Dakota Miller. “It’s been a lot of tears every day and crying myself to sleep,” friend Haley Chapman said. “This is about a young man fighting every second for his life,” football coach Scott Grizzle said. Kentucky State Police say it appears the boy was at his grandfather’s house last Thursday, showing his friend a gun that he didn’t know was loaded when he accidentally shot himself in the head. In August 2017, WSAZ reported that his high school football team paid tribute to Miller, whose recovery is continuing. Colgrove, Andrew. "Vigil held for 13-year-old who suffered serious injury." Colgrove, Andrew. "Greenup County football team pays tribute to injured student." Carson, Kevin. "Please Read: Prayer Request for Dakota." 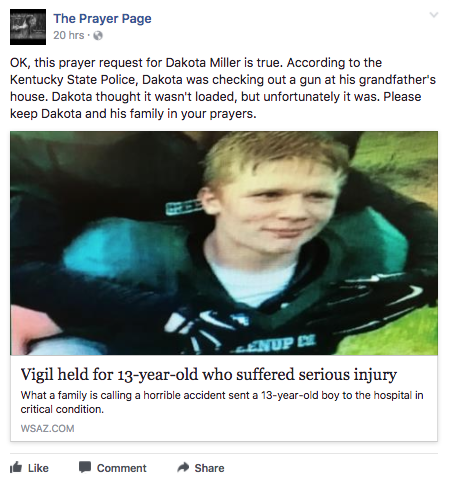 Prayer requests for 13-year-old Dakota Miller were circulating Facebook in May 2017. Dog Owners Warned About Explosive Tennis Balls Lying in Grass-Truth!